Character and charm delight in this 4 bedroom, 2 ½ bath Colonial home located in the heart of Springfield. 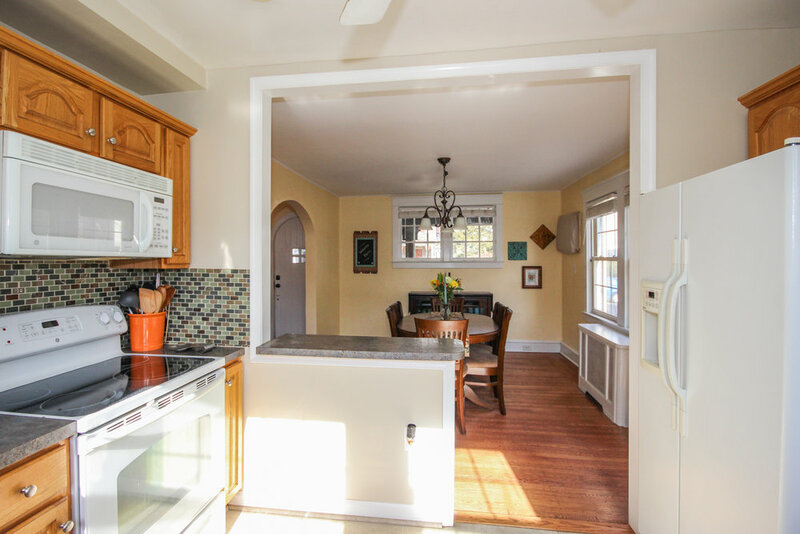 Stepping onto the large covered front porch and up to the original arched doorway, you immediately see the special details that welcome you into the home starting with the beautiful moldings surrounding most of the windows and doors. The second floor has three bedrooms, a full hall bath and access to the third floor. The master bedroom has original hardwood floors, dual closets and custom drawer built ins. Both the second and third bedrooms have original hardwood floors under the wall to wall carpet as well. A full hall bath with a linen closet and updated lighting complete this floor. The enormous third level could be a fourth bedroom, playroom, office or guest suite. Featuring an enormous cedar lined walk in closet and full bath with shower stall, this floor has endless opportunity and storage to fit the needs of any family. The clean unfinished basement has a half bath, laundry hook ups and offers even more storage. The backyard is highlighted with a large deck with retractable awning and built in bench, a private firepit and 2 car garage. A perfect location within walking distance to the center of town, Springfield Public Library and community parks. Located in Springfield School District, with easy access to I-476 and close to Baltimore Pike’s shopping and restaurants.